David will be answering the questions leading up to his lecture tour of Europe with a UK date on the 6th April in Banstead, Surrey. David will be doing the first lecture for the newly formed twister club that we have in the UK although non members are also welcome to all the star lecture and care & share days. Hello BalloonChat! I'm getting very excited for my trip across the pond... I can't wait to meet all of you who can make it to the lecture! I tend to ramble on a bit, so I'll be answering these interview questions in small groups. Please feel free to chime in if you have any questions about the lecture material or about balloon twisting in general! I had always wanted very desperately to be an artist of some sort… but every medium I tried (drawing, painting, carving, writing) I was never particularly good at. For some reason, balloons have been the perfect fit for me! Ask me to draw a monkey, and you'll get a bunch of incomprehensible scribbles. Ask me to make a monkey out of balloons... no problem! My wife (who truly IS artistic) and I have pondered this, and we’ve decided the best explanation is that balloons are modular in design, and that the fixed dimensions of the materials for some reason really resonates with the way I view the world. When I was 16, my best friend’s father was a professional clown. He was looking for some additional help for overflow gigs, and so he trained me in the wide range of services his company offered: simple magic shows, juggling, face painting, stilt walking and very basic balloon twisting! For many years I was a sort of jack of all trades, but a master of none. So although I’ve been twisting for over 12 years now, it really wasn’t until 2007 or so, when I discovered the online community of balloon artists, that I became obsessed with balloons, and began to experiment with my own designs. It’s all for the best, really… I was always a horrible face painter. I suppose it’s a testament to how lucky we are to be in an industry that generates so many wonderful experiences that it’s difficult to single out the “best”. My favorite events in general are the ones where I get to involve all ages! The client might hire me to entertain the hyperactive 5 year olds, but when the sulky teenager, the bored father, the quiet grandmother, and the harried hostess herself all find themselves excitedly making requests, playing around and posing for pictures… then I know that I have helped to redefine “balloons” for that group, and I’ve been lucky enough to facilitate them getting to play, which most adults don’t do nearly often enough! This was fairly early on in my career, but I had been contracted through an agency to make balloons at a school event. What I discovered upon arriving at the event was that the client had also been promised a magic show, which I had not been informed of, nor was I prepared to perform! I hastily ran out to my car and cobbled together some scraps of rope (left over from a pervious cut-and-restored routine) and assembled a thumb tip out of masking tape, and managed somehow to eke out a bare-bones 20 minute magic show for the children. I guess “worst experience” is a misnomer… although it was incredibly stressful at the time, the children ended up loving the show, and it really cemented for me the notion that performance has very little to do with props and everything to do with character and interaction. 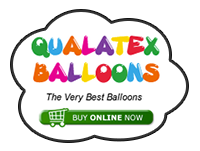 1) What's your favourite balloon colour? 2) What's your favourite size or shape of balloon? 4) a) What time is your Eurostar train back on the Thursday 7th April? b) Would you like to meet up at the train station for coffee if there is time? you can PM me if you wish! I think any artist or craftsman runs the risk of outgrowing their passion and growing blasé. The great thing about balloon twisting is that it combines the creative art with the performance art, and every time I make a sculpture for someone, I get to see the joy it brings them first hand. It’s immediate feedback, and it’s a constant reminder that what I do provides happiness. It keeps me inspired and grateful. Children are always fantastic, but I most enjoy entertaining those who think they’re “too old” for balloons. Watching the reaction on someone’s face develop from mild interest to amazement and joy is always a treat for me. Also, children have a tendency to fixate on one idea… make one cute butterfly at a little girl’s party, and chances are you’ll make at least 5 more. Teens and adults tend to appreciate the concept of a unique sculpture, and are more willing to let the artist play around. For the most part, my repertoire remains the same for all age groups… sometimes scaled larger for adults (particularly the wearables). My personal interaction with my audience does change with the age groups, however. I find that with children, I’m more of a cartoon, or a caricature of myself… but with adults I try to be a little more genuine. I am personally not a huge fan of entertainers who sound like they’re quoting from a one-liner joke book (and I’m not the best joke teller!) so I avoid that as much as possible. I find that if I’m just a friendly and likeable fellow, my art is entertainment enough. In general, I’m a HUGE proponent of wearable art. From a practical standpoint, people don’t like to have their hands occupied while at an event. If they’re just handed a sculpture, it will often times be admired briefly, but then left at a table, hidden from view. Wearable art stays visible and ideally a paying client will look out at a sea of color and fun by the end of an event. Costumes have the added bonus of bringing out a character in the recipient, which makes for instant anecdotes and photo opportunities. That being said, my current favorite is my “Buzz Lightyear” wing pack. It’s instantly recognizable, kids adore the character, and invariably I’ll have some little space ranger zipping around pretending to shoot lasers from his arm! Rounds and hearts. Can’t get enough of them! With all the neat twisting and distortion techniques we have available, we can achieve such unique and expressive shapes! They give sculptures a cute chubby “bulk” without adding extra lines to the finished piece. A lot of my recent experimenting has been with scaling up my 5” round and 6” heart sculptures to include the larger sizes… 11”, 15”… even 24”! They’ve got your name on them, Danny! I would LOVE to meet up with you! It would really be the D’s Bs (if you catch my drift)! I’m not entirely sure about my schedule at the moment… I’ll let you know as soon as I get a more solid itinerary! With your stage balloon show, who or what inspires you ? Who is your audience for your stage balloon shows? What did you most enjoy about the Millenium Jam in November? that is it for the moment! How is your workload made up, do you do mainly birthday parties/restaurants/corporate. What has been the most succesful way to market yourself. Are you pleased with your change over from 3 ring to Nifty balloons or is there still more work to do till you reach the character/look that you are after. I have a couple of questions for you if I may. Who would you most like to make, or have made, a model for and what would you make them? Hello again! Sorry I've been away a few days... my wife and I are in the process of moving, so things have been a bit hectic! Here are some more answers to the Interview questions! Monkeys and penguins seem to have a perennial appeal! I try my hardest to not find myself in the ‘balloon production line’ situations. I’m pretty up front with my potential clients that if they want that… they can find a lot of other artists who will charge them far less – I’m not the right entertainer for every event! However, it happens to everyone… the gig evolves into something other than what you expected. In those situations I’ll offer the recipients a limited choice from my simpler “hearts & rounds” balloons. Alberto Nava’s ‘hairband’ concept is great for adding a lot of perceived value to very quick and simple models. In general, our market is private children’s parties, usually under 20 guests. However we’re expanding a lot into ‘grown-up’ events, both private and corporate. It can be a hard sell, but the gigs we’ve worked in this area have been incredibly successful, and a lot of fun! My wife Shana and I currently work 3 restaurant gigs a week (weekday nights). Our weekend events are probably 80% private children’s parties, 10% Library and school stage shows, 10% Corporate and cocktail parties. A child’s party where all the adults get involved! As mentioned in my answer to Question 6 (What's your favourite age to entertain? ), I get such a kick out of impressing those who had no expectation of being entertained by balloons. But also, I feel it contributes to a more successful and enjoyable party for the children, as well! Kids love to see the adults play around like kids, and adults love to cut loose. That’s when I feel I’ve truly earned my fee as an entertainer, and not simply a balloon twister. When I’m treated as the World’s most expensive babysitter. I’ve worked parties in the past, thankfully not too many, where I’m greeted at the door, shown to the kid’s corner, then left to keep the kiddies entertained while the adults go have a beer and watch the game. Of course, I still give the children the best of my performance and twisting in those situations, but it irritates me to see parents so disengaged from their children. Word of mouth is HUGE for us. We have a website and a Facebook presence… but 80% of our work is booked because someone saw us perform at another party, or we came recommended by someone else who saw us perform. What we do is so visual and so unique… you really have to “see it to believe it”. And a recommendation from a friend who’s taste you trust is so much more impactful than seeing an ad in the paper or online. Once someone contacts us (about 60% by phone, 40% by email), we verbally confirm details and price, then email a contract. My wife and I have only recently started performing a Balloon Stage Show. We were familiar with Don and Laura Caldwell’s individual shows, and were interested in breaking into the school and library market. At the Twist & Shout Balloon Convention 2010 in Chicago, Smarty Pants and Miss Dena taught a class on basic show construction. That was in February, and by that May we had assembled a show! It was nothing groundbreaking, but we were proud of it, and we had a lot of fun. For the 2011 public library summer reading program, we’re working on developing our characters a bit further, and bringing our show to the next level. We’ve been studying a lot of sources from the old Burns & Allen routines to the Animaniacs cartoons of the 90s. We’re really looking forward to growing as performers. I’ve mentioned the libraries above. Basically the public libraries run “Summer Reading Programs” to encourage children to keep up their reading during the Summer break from school. Each location hosts various performances and activities during this period to bring local families into the libraries and keep up enthusiasm. It’s a great program, and we love being a part of it! The libraries make up the majority of our stage performances, but we’ve also performed our show at school assemblies and various large group events. In general, these events are all geared towards children, but since whole families tend to be in attendance, we try our best to make sure to keep all age groups entertained! Millennium Jam was simply amazing! I absolutely LOVE jamming with other artists… I really thrive on the collective experimentation and discussions. To be able to share in that process with artists who’s work I was familiar with from the internet, but had never yet had a chance to meet in person… that was completely thrilling! I can’t believe how lucky I am to head back across the Atlantic and see you all again so soon! I cannot wait! And now for Graham’s Questions! Of course, that’s with 3 restaurants a week, and for two months in 2010, we were working 5 restaurants a week (that was a bit hectic… I don’t think we’ll be doing that again)! Already 2011 is showing signs of a different split, for example we’re already booked over 3 times as many Library shows for this Summer. Who knows? What has been the most successful way to market yourself. I’ve mentioned word of mouth being what we rely on most heavily. That being said, however… our website (http://http://www.niftyballoons.com) is something we’re very proud of, and something that has been just invaluable. Parents nowadays, particularly affluent ones, are web-savvy and are used to having professional, clean and well-designed interfaces for all their business needs. We can’t afford to have an entire IT department, of course… but Shana and I knew this was going to be very important for us, so we put a lot of time and effort into designing and implementing our website. It’s not perfect, and we’re constantly looking for ways to improve it, but it’s something we’re very proud of overall. Haha! Will I ever be satisfied? It’s become somewhat of an inside joke how frequently I’ve changed my name and image! David Brenion is what it says on my passport, so there’s a good chance that’ll stick! As I said, when I first got into balloons, it was one of many skills I was learning as an amateur birthday clown. When I managed to convince my wife to join me, we settled on the name “3 Ring Entertainers” because we wanted to convey that we did it ALL – balloons, facepainting, magic, juggling, stiltwalking… why, we were a veritable 3 Ring Circus! After relocating back to Shana’s native southern California, though… we realized that the concept of a “clown” was not as popular with clients out here. We would often be specifically requested NOT to come in clown make-up. Then we started shedding the services that weren’t really our strong suits until we ended up with only the skills that we truly loved and excelled at. As we doffed the rubber noses and rainbow stripes, we still wanted to look fun and colorful, but still respectable enough to be hired for a corporate gig… so we settled on our current look. We’ve always been a fan of the retro mid-century look, it’s not an uncommon image for performers. And we decided we wanted our name to evoke that image, and so we settled for the 1950’s slang term of “Nifty”! So yes, we are pleased with our change over. There is always work to be done, and characters will always evolve… but I feel like we’re narrowing it down to a business image we will be happy with for the foreseeable future! I'd have to say Theodor Geisel, aka Dr. Seuss. His books introduced reading as "fun" to me and countless other children... the sing-song rhyme and rhythm of his writing stays with us as adults, and the whimsical imagery and nonsense situations are pure childhood imagination fuel! He has passed away, but if I'd had the chance, I'd have loved to have spoken with him, and come up with some zany balloons in the style of his artwork. Thank you for your kind words, Professor! I'm glad you're getting use out of the reindeer... that was always one of my favorite earlier pieces! Slowly chipping away at this question list... again, thank you for your patience! My biggest piece to date was my first large competition entry at Twist & Shout 2010 in Chicago. It was my first time working on a large scale, and I can definitely see how I’d change it if I had it to do over… but all in all, I’m pretty happy with it! It was my first time scaling up one of my sculptures that used 6” hearts (the face of the ants) to larger scale with the 15” hearts. Teaching at the Twist & Shout Balloon Convention 2011 this last February was amazing. I had never officially taught before, just impromptu jam room instructions, so I had no idea how my material would be received! Thankfully, the balloon community has been incredibly supportive and wonderfully enthusiastic. It was truly amazing! When I look at the pictures of my work just three years ago, my progress has been incredible, and I really owe it to two things. One: regular restaurant work. It doesn’t HAVE to be restaurants, but just having a venue where you can get frequent twisting practice in, where speed is of the essence and off-the-wall requests are a regular occurrence will make you a better twister in record time. Two: jam with other artists when you can. I have the good fortune to be in an area with a staggering number of top-class twisters… but some of my best moments of inspiration strike when I’m jamming with a complete beginner. 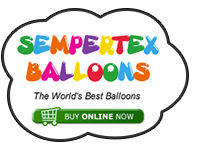 Play with the balloons, see what shapes they make and see where that leads your imagination. Don’t forget that what we do is FUN! Whew! Too many directions to count! My wife and I are relatively new to the industry, and loving every moment of it. We want to try it all: twisting, stage performing, competing, teaching, travel! We’re at the stage where we’re sampling a little of everything that’s out there so we can decide where to focus our efforts in the future – and we’re loving it! My goal is to be what every guest at the event talks about the next day. The money is essential… everyone needs to eat! But helping make memories is our privilege as entertainers, and I take it very seriously! Just wanted to thank you for the great answers to these questions - you've obviously taken a lot of time and thought over them and I, for one, really appreciate it. Unfortunately, I'm not going to make it to your lecture, but having met you at The Millenium Jam, I know the audience are in for a fantastic day.